From left, McGarvey and moderator Jim Hemphill, a frequent contributor to American Cinematographer magazine and the AC podcast series. The cinematographer discusses his work in writer-director Tom Ford's stylish thriller Nocturnal Animals during a special interview session at the ASC Clubhouse. 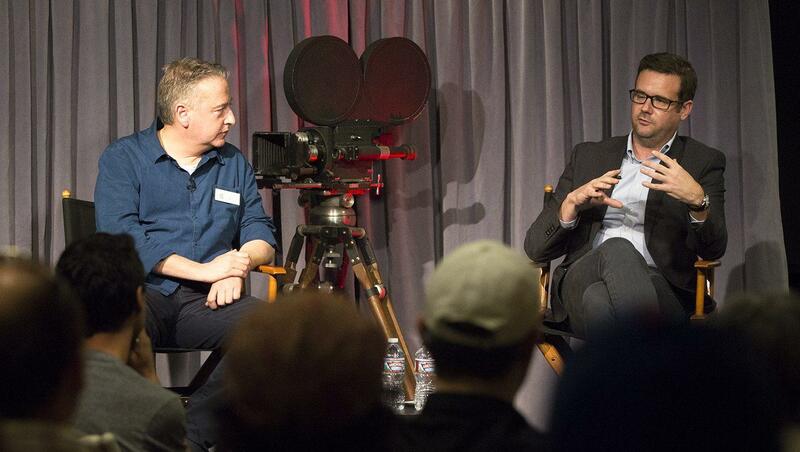 Seamus McGarvey, ASC, BSC arrived at the ASC Clubhouse in Hollywood on December 20 for a “Coffee and Conversation” event moderated by filmmaker and American Cinematographer contributor Jim Hemphill. The two spoke about McGarvey’s latest film, the thriller Nocturnal Animals. The movie, written and directed by Tom Ford, features Amy Adams as a successful Los Angeles art-gallery owner whose idyllic life is disrupted by the constant traveling of her handsome second husband (Armie Hammer). While he is away, she is shaken by the arrival of a manuscript written by her first husband (Jake Gyllenhaal), who she has not seen in years. The manuscript tells the story of a teacher who finds a trip with his family turning into a nightmare. As Susan reads the novel, it forces her to examine her past and confront some dark truths. McGarvey spoke about the unusual structure of the film, which allowed him to create three looks: one for the present-day story of Amy Adams’ character; one for the story-within-a-story represented by her ex-husband’s novel; and one for a flashback narrative detailing Adams’ past life with Gyllenhaal. McGarvey’s approach was to find distinctive looks for each section while building in color and design motifs that would repeat and resonate across storylines. For the present-day material, he and Ford relied on extremely formal compositions with frames within frames, shooting Adams’ life almost as though it were part of a psychological horror film. For the rural thriller story told in the novel-within-the-film, McGarvey looked to classical Westerns like The Searchers to create an epic feel with vibrant but desolate desert landscapes and visceral camerawork that emphasized the violence and volatility of the storyline. The flashback section, on the other hand, took its inspiration from the French New Wave in order to present a more playful, romantic tone than the rest of the movie. The cinematographer shot on 35mm film using Kodak stock, and at the ASC event he explained why he felt the granularity of celluloid was right for the textures he wanted to capture. He also discussed shooting in a 2.40:1 aspect ratio with spherical lenses, and the changing role of the cinematographer in the digital age. The day yielded several fascinating insights into McGarvey and Ford’s process, including the revelation that the striking opening credit sequence was never intended as such; it was originally shot to be part of an art installation within the film, but when he saw what he had in the editing room Ford decided to make it its own self-contained scene. McGarvey admitted that he was initially a bit stunned by this, given that he had originally framed the material for 1.33:1, only to see it cropped to the 2.40:1 aspect ratio at the movie’s premiere. 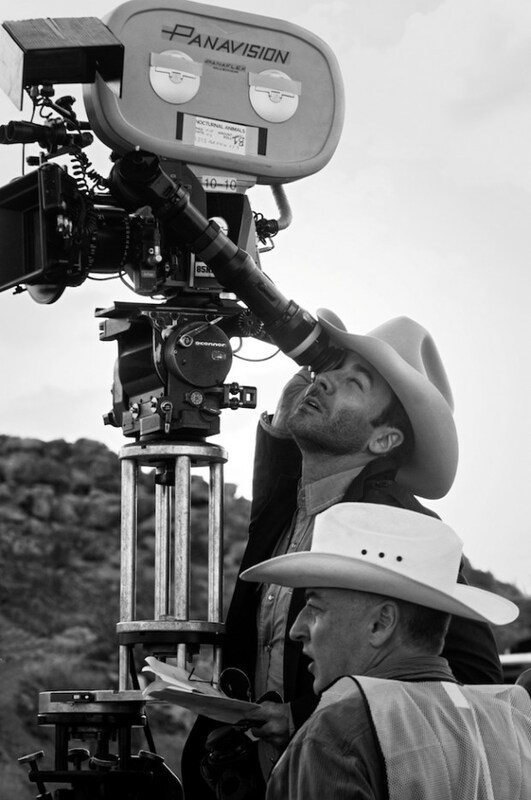 Shooting Nocturnal Animals on location, writer-director Tom Ford takes a turn at the eyepiece while McGarvey stands by. 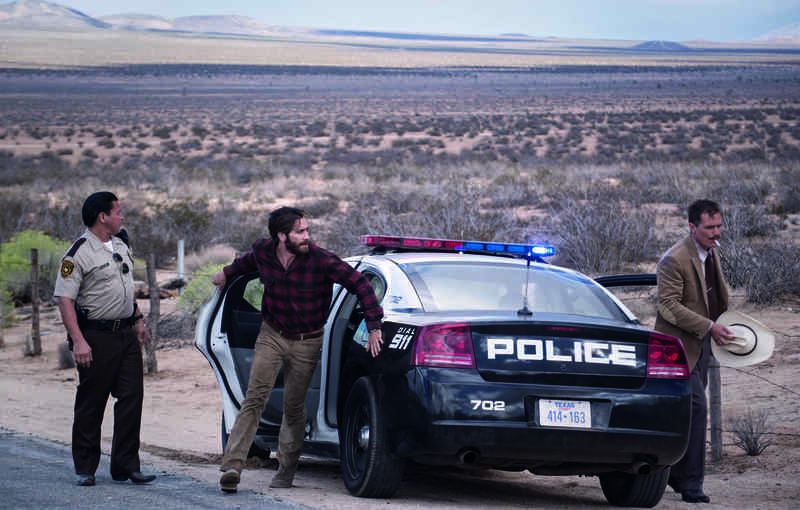 The audience was treated to clips from Nocturnal Animals, including a car chase scene shot in the desert that McGarvey described as the hardest thing he ever had to do. He explained how he previsualized the sequence with a stunt coordinator, figuring out each angle ahead of time and then executing the scene in a way that would motivate the light and increase the tension between the characters. By viewing this and other clips, the audience gained insight into the delicate balance between preparation and spontaneous response that characterized McGarvey’s work on the film; one particularly striking desert image, for example, came about when McGarvey and his operator quickly reconceived their scene based on the stunning desert sky that revealed itself in front of them. 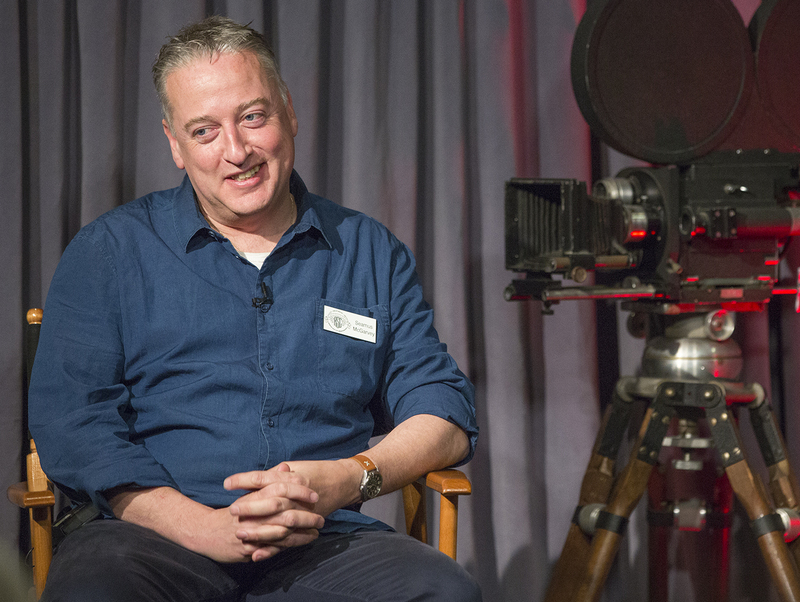 A cinematographer as self-effacing and open as he is thoughtful and precise, McGarvey entertained the audience at the Clubhouse with a lively question-and-answer session in which he demonstrated his determination to take his craft, but not himself, as seriously as possible. A multi-part video document of this event is available here to Friends of the ASC members.